Kenny Wallace remembers the first time his NASCAR® race car was filled with Sunoco Green E15 during a test session before the 2011 season. A longtime short-track racer from the Midwest, Wallace had been around various forms of ethanol racing fuels for decades. While others had questions about ethanol that day, Wallace did not. In its second season in NASCAR®, Sunoco Green E15 is gaining traction. Drivers, engine builders, engineers and mechanics have noticed increased horsepower and fewer mechanical issues since implementing E15. 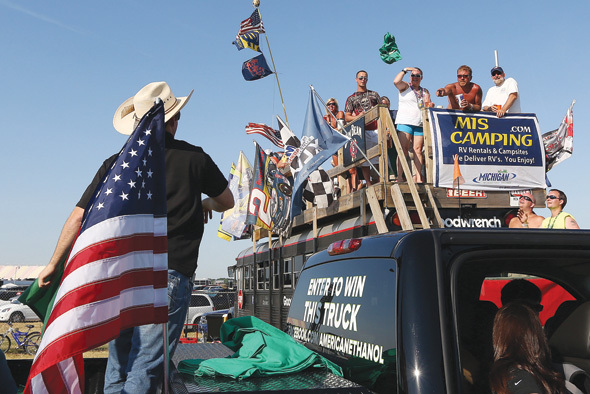 They’ve also noticed race fans both curious and thankful about teams’ use of American Ethanol. When Austin Dillon, driver of the No. 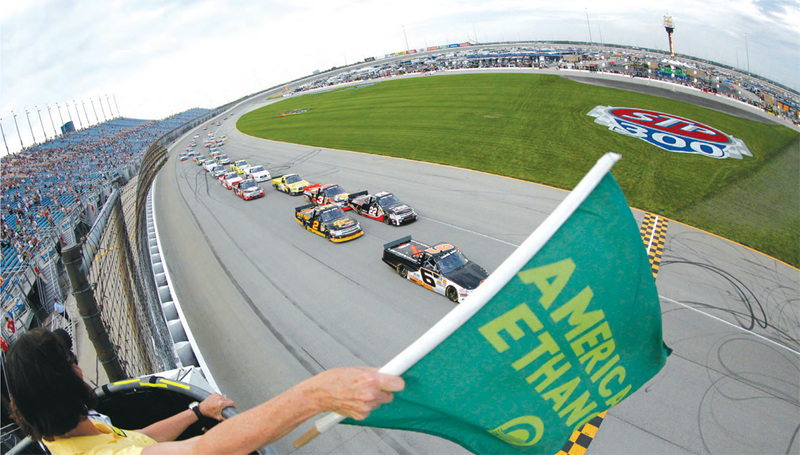 3 American Ethanol Chevrolet, raced at Iowa Speedway in August, he heard the praise of fans, many of whom are benefitting directly from corn-based fuels. That’s not all that E15 provides. It has helped NASCAR® take significant steps toward conservation by introducing impactful initiatives in recycling, alternative energy and carbon mitigation. It creates tens of thousands of American jobs that cannot be outsourced. And, perhaps most important, ethanol is environmentally friendly, with emissions 20 percent less than those of traditional gasoline. Wallace nods in agreement. A native of St. Louis who grew up around Midwest tracks, Wallace knows all about ethanol as a racing fuel. For decades, racers in the Midwest have preferred alcohol-based fuels for a variety of reasons, including better horsepower, higher octane and lack of wear and tear on equipment. But the introduction of E15 to NASCAR® came with some concern among team owners and mechanics. Until they put it in their cars. 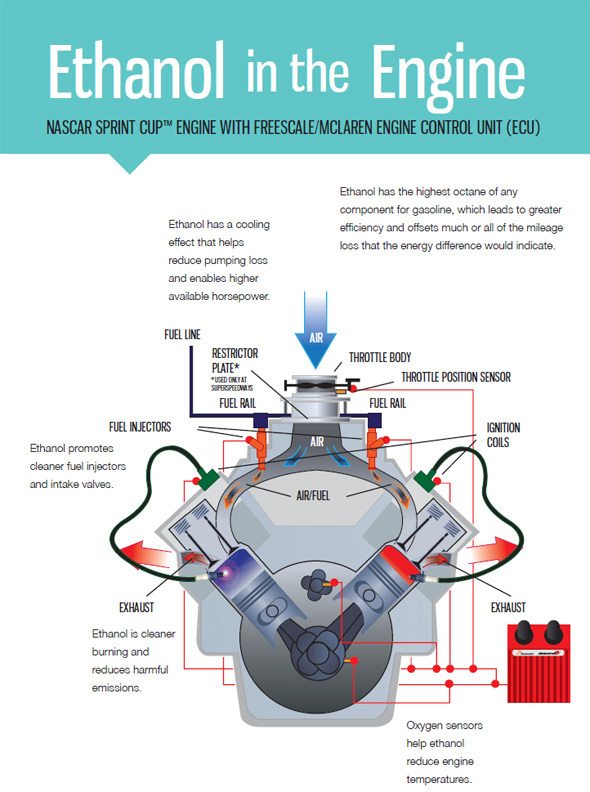 NASCAR® legend Richard Childress, who introduced Sunoco Green E15 to all of his race teams in 2011, has never experienced a problem in 3 million miles – the equivalent of 120 trips around the world at speeds approaching 200 mph. As driver of the RAB Racing car sponsored by American Ethanol from Family Farmers, Wallace has been to Washington, D.C., several times to spread the word to Congress about ethanol and its benefits as a racing fuel. From the sound of things, it’s going to be around for a long time to come.